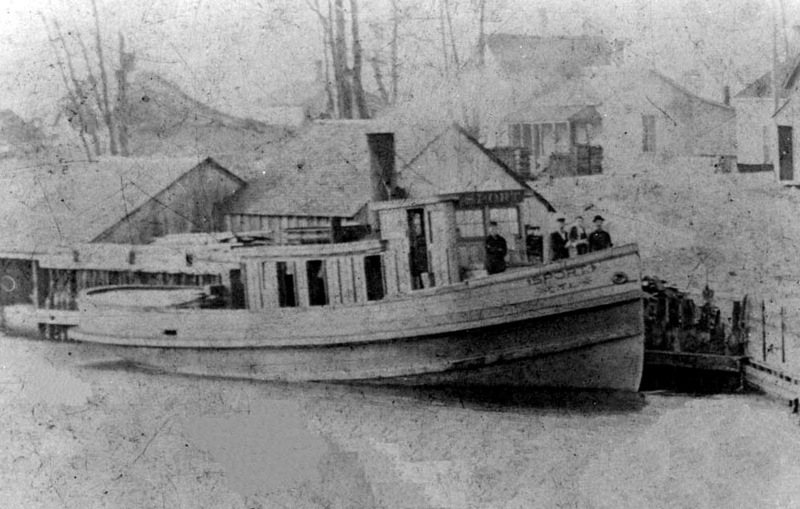 Having the honor of being the first steel tug on the Great Lakes, the Sport was launched in 1873 from Wyandotte, Michigan. At 57 feet, she was small but powerful. All in all, she saw well over four decades of faithful service on the Great Lakes while operated by multiple owners. She met her fate just before Christmas in 1920 when a gale swamped her and overwhelmed the pumps. She lost steam, killing the pumps around 11pm that night. At that point the crew abandoned and washed ashore near Lexington, injured and hypothermic, but still alive. The Sport lay dormant at the bottom of the lake until she was discovered in 1987 by a team of divers. In 1992, she became the first Michigan shipwreck with her own Michigan Historical Marker placed on her. The wreck is now part of the Sanilac Shores Underwater Preserve, and popular with divers. The marker was damaged and removed in 2002. She rests in 25-50 feet of water and is a great wreck for new wreck divers to explore and further their skills on. We visit the Sport from Port Sanilac on the Go-Between.